A single story, L-shaped (100′ x 54′, with extension of 43′ x 42′) structure, the Leonard school and gymnasium is constructed of cut but unrusticated blocks of native sandstone randomly laid. The masonry lacks any artistic quality. The roof is flat with parapets (particularly pronounced above the front entry), while wall caps and window sills, lintels and side facings are pre-formed concrete. The double door, front entryway is recessed, and the south, exterior wall has pilasters. Window openings have been reduced in size with wood inserts and smaller, more energy efficient windows installed. On the north a walkway to a new gymnasium has been enclosed with sheet metal and attached to the building. Neither alteration, however, effects the architectural integrity of the building. The drought and the drop in agricultural prices left the economy of the Leonard community in shambles and many workers without gainful employment. Virtually destitute, the latter found some economic relief by working on the construction of the Leonard school facilities–a fact that makes the structure particularly significant. That it also infused the wages from some 60,000 man-hours of labor into the local economy was also important. 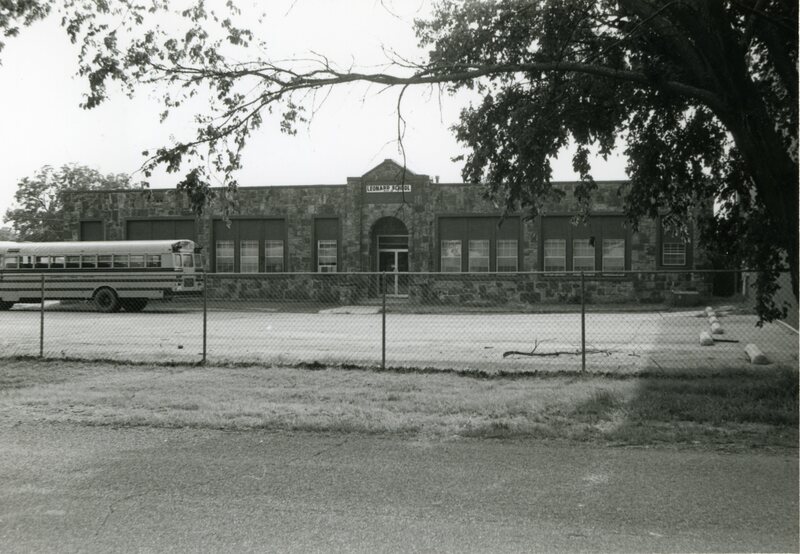 As it replaced a condemned wood building and remains in use today, the WPA-built school was the genesis of and continues to nurture modern education in the area. Architecturally, the building is notable in the community for its type, style, materials and workmanship. The school was used up to 2008 as a consolidated school PreK – 8th grade . The school was mostly maintained by the community whenever repairs were to be made. The current owner’s whole family attended this school as well as his mother and father. The medal gym was added in the 70s and his story was that the engineers and architects developed with 25 feet on his grandfather’s property (his now) and that when the bulldozers came to work, they were going to bulldoze over a hog barn and pen and the local contractor said wait, you better go across the street and ask the owner about the pen. His grandfather gave them permission to build there. 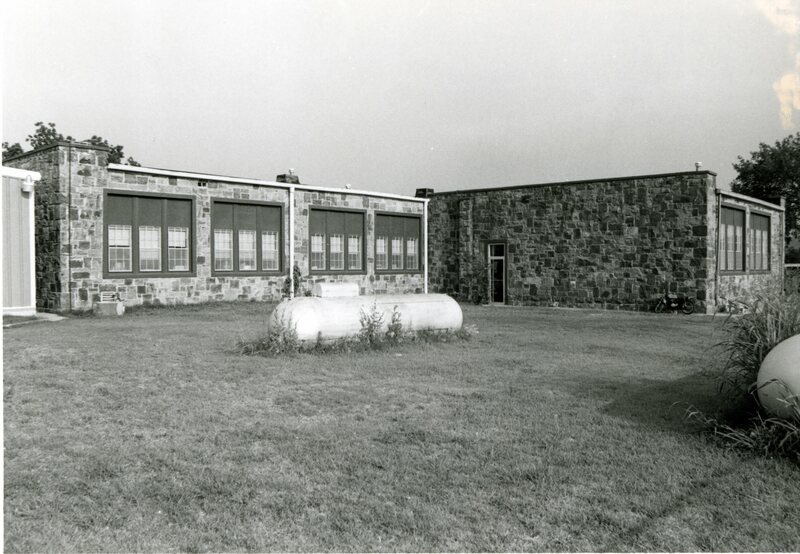 Later when the school district of Bixby acquired the school property due to consolidation of school communities the school intended to sell the property to developers, but the current owner stated he owned 46% of the school and therefore want to buy full rights, a 2 man audition insured and he got the school for $1.00 over the other bidders price. He had very interesting stories about the school but I did not record the conversation. He stated the there was a auditorium and gym but a false floor was add later that cover this so it had a basement. Also stated that there was a cornerstone which had the date of 1941. ​The property was overgrown with vegetation and was used as storage for the owner, the gym which was added in the 70s was being used as a garage. After looking up articles on the internet find that the school was closed in 2008, and students were transferred to Bixby Public Schools.